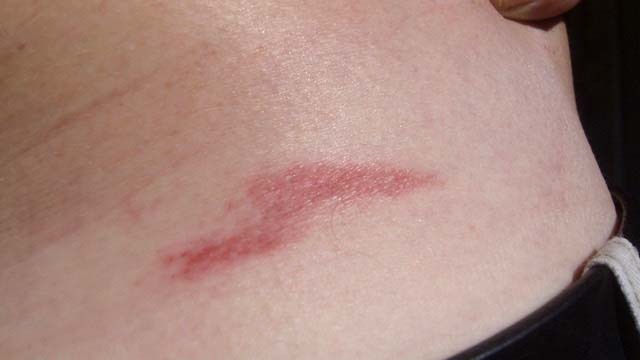 A photograph of a Z-shaped third degree Remote Electronic Harassment Burn Mark on Michael's waist. These burns often appear overnight on different areas of his body and they take months to fully heal. 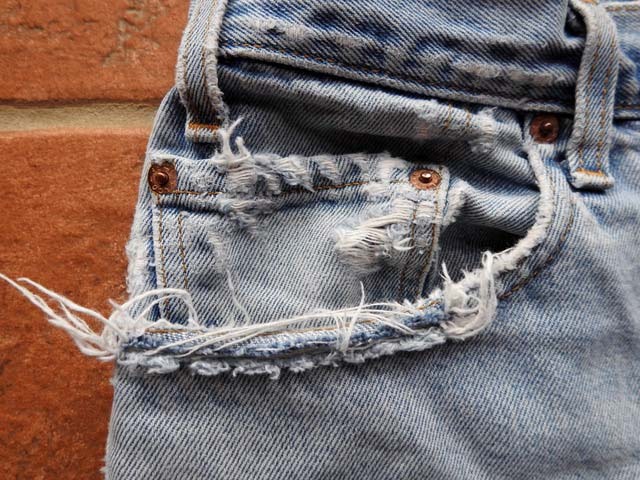 Here is an actual example of small but noticeable damage done to a pair of one of Bell;s pairs blue jeans. It is small but noticeable vandalism that is done to the Targeted Individual's clothing and other personal property when they are away from their residence. Repeated and Ongoing, Unforced Break-ins will continue to occur at the Targeted Individual's home. Clothing, Furniture and damage done to walls, ceilings and floors are also hallmarks of Organized Stalking. As a result of taking a Silver Supplement to treat and combat symptoms of Morgellons Disease, Bell developed Argyria, a rare discoloration of the skin due to toxic Silver poisoning. Note that the tone of my skin is a Blue/Grey/Purple color. 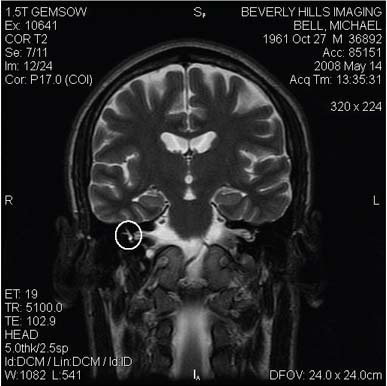 Michael F. Bell's actual MRI image clearly showing an unnatural foreign object (biomedical implant) positioned at the base of the brain. This foreign object is not an organic part of the human body. 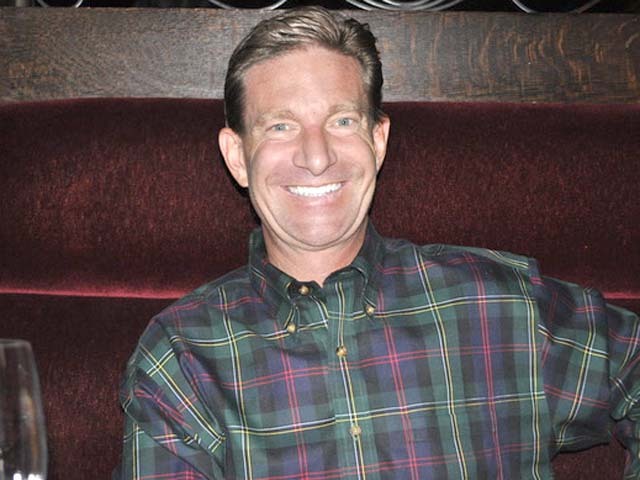 Bell had covert surgery and incision scars adjacent to this area on his head. 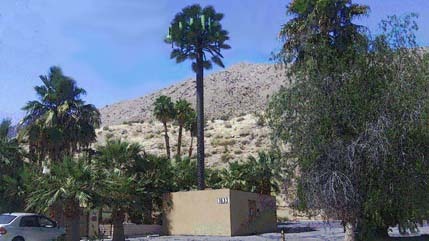 Less than ten days after moving into my apartment in Palm Springs, California, this covert cellphone tower was installed in a parking lot directly across the street from Bell's apartment building. The entire structure including the base, was installed overnight. One day it was an empty parking lot, the very next morning this camouflaged cellphone tower appeared. This cellphone tower is less than 100 yards from Michael's apartment. 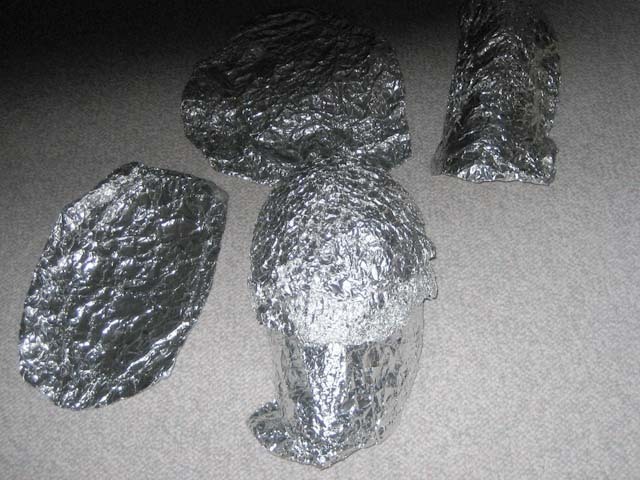 Example of an Aluminum Foil Mask and Body Armor Shielding used as a countermeasure protection against Remote Electronic Attacks using Classified Technologies. Copyright © Ruby Dunes All Rights Reserved.